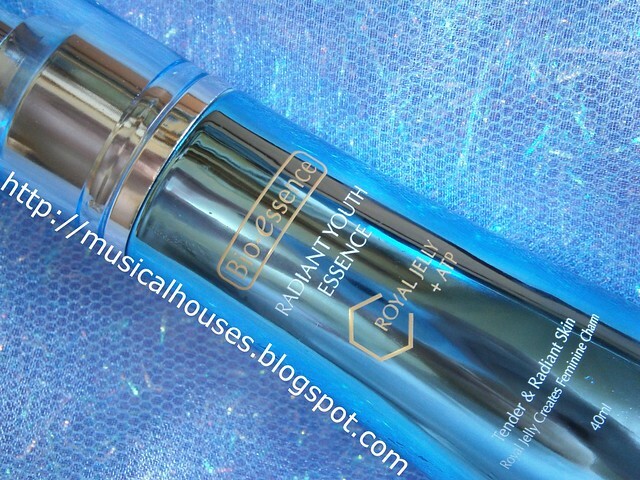 Bio-essence Royal Jelly + ATP Shape V Face Skincare: Does it Really Work? Bioessence's Shape V Face Skincare: So much promise, but does it stack up? So, without further ado, let's buckle up your seatbelts, and get this show on the road! The Bio-essence Deep Exfoliating Gel with Royal Jelly + ATP is supposed to be one of the first steps in the routine, after your cleansing. 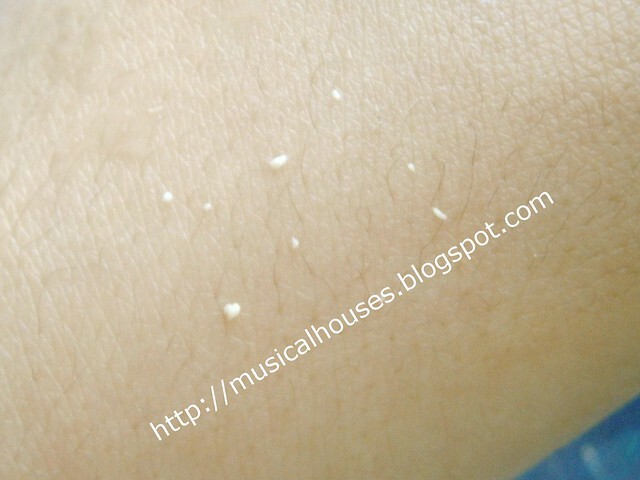 Basically it's supposed to function as an exfoliant: you rub it on your skin, and you see little white balls coming off. If you're familiar with the Cure Aqua Gel, or with the Ginvera Green Tea Marvel Gel, then you already know how this works. 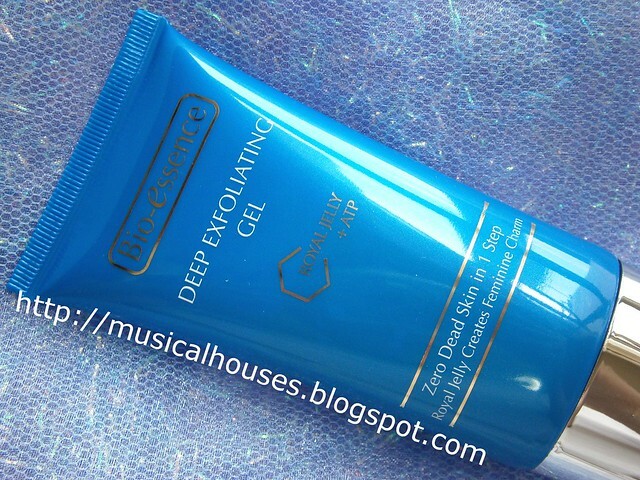 The Bio-essence Deep Exfoliating Gel: Kinda like a clone of Cure, Ginvera, and other peeling gels. The different selling point is that the product contains royal jelly extract and ATP, which makes for a nice marketing story. But from a functional perspective, the ingredients that are doing the actual work are the first few ingredients, in this case, Water, Cyclomethicone, Dimethiconol, and Carbomer. Cyclomethicone and Dimethiconol (a silicone that is similar to dimethicone) are skin-conditioning ingredients added to spread the product out and give it some slip to make it feel nice. Carbomer (and also, Dimethiconol) is actually a film-former. When you spread the product on your face, the carbomer forms a film on your face (hence the plastic-like feel in your skin), and when you rub your skin, some of the carbomer film gets "crumpled" up into little balls that roll off your skin. A lot of people think that the little balls are all dead skin, but mostly it's actually the balled up carbomer film that was from the product. There will be some dead skin that is balled up along with the carbomer just due to the mechanical action of rubbing, but it won't make up the bulk of those balls. It does, however, make the consumer think that the exfoliator is really OMG POWERFULZ (just google other reviews and you'll know what I mean). So now you know how these products work! The gel contanis carbomers that form a film on your skin, which you then rub off. Yay little white balls! But it's not all dead skin - the bulk of it is just the product. So while this isn't my choice of exfoliator, if you like seeing little white balls roll off your skin (I'll admit, it does look cool), then this product isn't going to do any harm. It might also be useful for people who have very sensitive skins, and can't tolerate either the chemical or mechanical abrasion form of exfoliation. There's royal jelly and ATP in the ingredients, too, but honestly, in a wash-off product, I doubt they'll be on your face long enough to work. Assuming that they do work, that is. We'll revisit that question later. The Radiant Youth Essence with Royal Jelly + ATP is a serum that you apply before your face cream. Now this is where we get serious. The previous product was marketed as an exfoliator, so I evaluated it based on its promises of exfoliation, not actual V-Face-Shape-Sculpting properties. But since the Radiant Youth Essence with Royal Jelly + ATP is a serum, we'll look at whether it actually helps the skin and shapes your face. And I have to say, on both counts, I'm not impressed. The Bio-essence Radiant Youth Essence has a very light, silky feel due to the high silicone content. My suspicions began when I tried out the product and applied it to my face. The first thing I felt was the unmistakable slip-n'-slide of an extremely silicone-heavy product, and I was a little shocked. Granted, you can formulate an excellent skincare product with silicones, but in this case, what surprised me was how silicone-heavy it felt. Even the most silicone-heavy skincare products didn't feel like this! In fact, it didn't feel like a serum at all - instead, it felt like a primer (think the Smashbox primer, or any other silicone-based primer, and you know exactly how this feels). This got me wondering: exactly just WHAT is in this product? Well, I found the answer in the ingredients list. It's a serum! It's a primer! No, it's Bio-essence's Radiant Youth Essence with Royal Jelly + ATP! If you look at the ingredients list, you'll see that Dimethiconol, Isohexadecane and Cyclomethicone as the main ingredients. We already know Dimethiconol and Cyclomethicone as silicones, and Isohexadecane is an isoparaffin that also gives a silky-like skinfeel to the product, kind of like silicones. Now, let me clarify that I'm not at all surprised at the fact that there are silicones in skincare - in fact, like I mentioned, there are good ways silicone can be incorporated in skincare (c.f. the Elizabeth Arden's Ceramide Capsules, Kiehl's Powerful Wrinkle and Pore Reducing Cream and Powerful Wrinkle Reducing Eye Cream, and the Olay Regenerist Micro-Sculpting Cream for just a few excellent examples). But in all the silicone-containing skincare I've tried, none of them felt so much like a primer. I dare venture that at least 80-90% or more of the product is nothing but these first 3 ingredients. In other words, although the product markets itself as a serum, seriously, you're better off using it as a makeup primer, because any skincare benefits beyond moisturization (because, after all, these ingredients will form a nice silky coating to prevent transepideemal water loss, or TEWL) will probably, in my view, be quite little. Oh yes, and what about the rest of the ingredients, in particular the royal jelly ("Royal Jelly creates feminine charm", remember?) and ATP? Well, the product seems to have them in small amounts (7th and 9th on the ingredients list). But do the royal jelly and ATP actually do anything for your skin? Well, to answer your question, let's start looking at the next product. This is, so to speak, the crown jewel and the pièce de résistance in the entire range. It's a Face Lifting Cream! So, what does it do? Is it anything special? 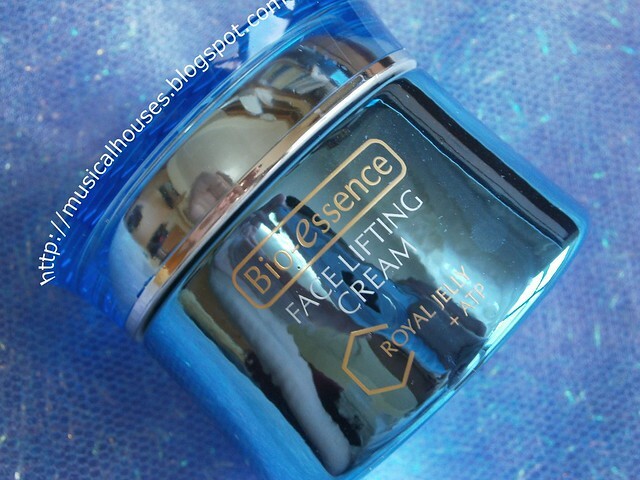 The pièce de résistance in the range is the Bio-essence Face Lifting Cream with Royal Jelly + ATP. The Face Lifting Cream claims to provide a facelift effect (naturally), but the main ingredients aren't that special - a combination of humectants (Glycerin), solvents (Propylene Glycol), occlusives (Paraffinum Liquidum), and other thickeners, emulsifiers, emollients, and ingredients used to enhance product feel and texture (Polyacrylamide, C13-14 Isoparaffin, Laureth-7, Glycol stearate, Cetyl Alcohol, Ceteareth-20, Cetearyl Alcohol). There's also a few plant extracts up there in the ingredients list (Panax Ginseng Root Extract, Angelica Archangelica Root Extract, Lycium Barbarum Fruit Extract). The plant extracts are nice, but not the thrust of the product of course. After all those ingredients, come the the advertised Royal Jelly Powder and Adenosine Triphosphate. 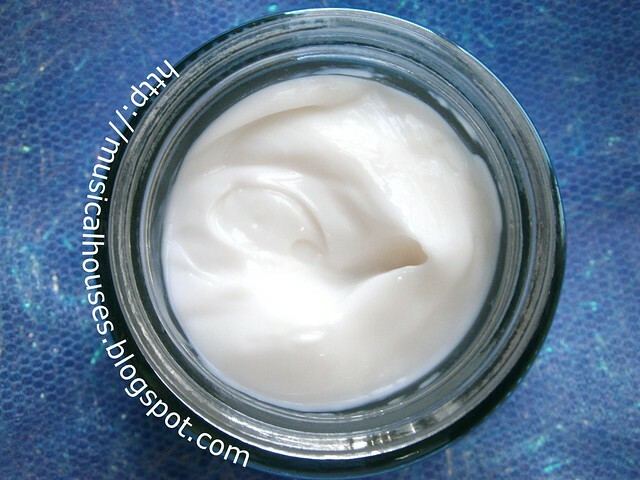 A nice basic moisturizer that might please those who have plant extracts. All in all, this would be a nice cream for moisturization and there are some plant extracts, but nothing special, really. In my view, our if the three products I was sent for review (and yes, I do have the guys to say outright that a product I was sent for review isn't at all great, as you can tell), I think this is probably the best formulated. The ingredients aren't just polymers that pretend to be your skin primer-like amounts of silicones, there's actually a variety of ingredients that will help the skin to retain moisture. And the cream itself is nice and light, and has a generally pleasant feel, texture and smell. 4. Let's Get Geeky: The Shape V Face Range as a Whole: Do Royal Jelly and ATP Really Work? One of the key selling points in the Shape V Face series of skincare is the inclusion of Royal Jelly Powder and Adenosine Triphosphate in all products in the range - the marketing basically implies that these products will give you a V-shaped face. I tried the products, but, truth be told, although my skin was more hydrated, my un-V-shaped jaw was as un-V-shaped as ever. But was this just because my face is so horribly-shaped that no cream can fix it, or because the cream itself doesn't work that way? So, as a good blogger and a good consumer, this is where we pause, and take a look at whether royal jelly and ATP will indeed give you "feminine charm" or reshape your face. What does the science say about them? a. Does Royal Jelly Really Work? Well, let's start with royal jelly. Pubmed, my BFF for searching through the available scientific literature, does throw up quite a few results for royal jelly. Unfortunately most is them talk about eating the jelly, and are concerned more with the nutritional aspect of royal jelly. Not what we are looking for. So I zoomed in on studies which had a topical application of royal jelly, and found that by and large, the results were mixed. On the one hand, there was some evidence that topical royal jelly might have a beneficial effect on contact dermatitis, and that royal jelly could have anti-inflammatory or anti-oxidative properties that could bring about a healing effect on oral mucositis. On the other hand, a study that looked at the effect of topical royal jelly on healing of diabetic foot ulcers in a double-blind placebo-controlled clinical trial found no healing effect, and what's more, there were quite a number of studies that noted that some humans actually have allergic reactions to royal jelly, either ingested (royal jelly that us eaten), or topical (royal jelly applied to skin), or both. It seems like such people may have an underlying allergy to bee by-products, so if you are allergic to any bee by products, including propolis, honey, conifers, poplars, Peru balsam, and salicylates, then just be wary when you use the product - you don't want to trigger your allergies! In fact, if you look at the literature more closely, there are quite a lot of studies on skin problems caused by bee products (primarily propolis, another extremely popular bee product), such as allergies and contact dermatitis, in beekeepers, as well as individuals who just decided that it would be fun to apply propolis to their skins without realizing that they had an allergy (for a few of these, you can see this, this, and this study.) In fact, there are reviews of propolis and allergic reactions, as well as allergic reactions to honey and other bee products, and these reviews generally advocate caution and a patch test before use. So to sum it up for royal jelly: it may have anti-inflammatory and possibly anti-oxidant effects, but before you go smearing it on your face or swallowing it in your mouth, it may be a good idea to do a test patch, especially if you have a history of being allergic to other bee products. Just in case. In fact, I've summarized a few salient points discussed in the below infographic (yes, playing around with graphics is fun!). b. Does ATP Really Work? So, we know what ATP is and what it does. And that it is in our cells. So why are we putting it on our face? That's a good question, because, frankly, I couldn't find any logical reason for it. For one, any basic knowledge of biology will tell you that putting ATP on your skin is useless. 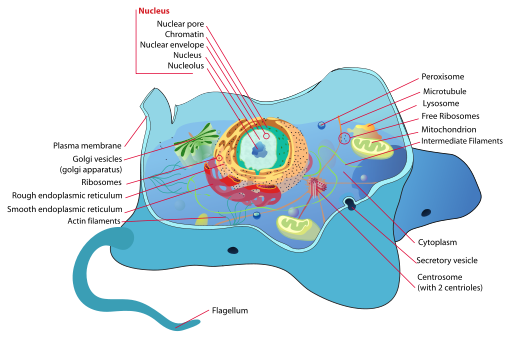 ATP is found in the cytoplasm and nucleoplasm of our cells, and ATP is produced and used up all within our cells: in other words, they are INSIDE our cells, and not outside. So putting ATP on your skin, where it will just sit on top of a layer of dead cells and will not penetrate through to the deeper skin layers or get incorporated by living cells in your skin, makes no sense. It's the equivalent of putting rice or bread on your body to get the energy from your food, instead of actually eating it. Our cells and our body don't metabolize ATP and food that way. (Just like how applying collagen on your skin isn't going to actually increase your skin's collagen.) So from a basic science perspective, I can't see what ATP in a face cream can do. Furthermore, when I searched through the scientific literature, I couldn't find any studies which looked at ATP applied topically to the skin. And it's not for a lack of ATP research - PubMed has over 98,000 results for a simple search on ATP. The reason why my search didn't turn up any relevant results for topical ATP (there were tons or other studies looking at ATP in tissues and cells) is most likely because it doesn't make any sense to do research on topical ATP (or, that given publication biases, topical ATP was researched and found not to work). Since ATP is found and used within the individual cells, you want to study its activity in those cells, not study the activity of ATP on your skin, outside of those cells. To continue my analogy of rice and bread, if you know that rice and bread need to be digested in your stomach to provide energy for your body, you're going to study the digestive process. You're not going to put rice or bread on someone's head and study its effects on the body, expecting that somehow your body will use the rice or bread on your head, because that would be illogical! And yet, that is exactly what the Bio-essence Shape V Face series of skincare is trying to have you believe will happen when you buy their product. 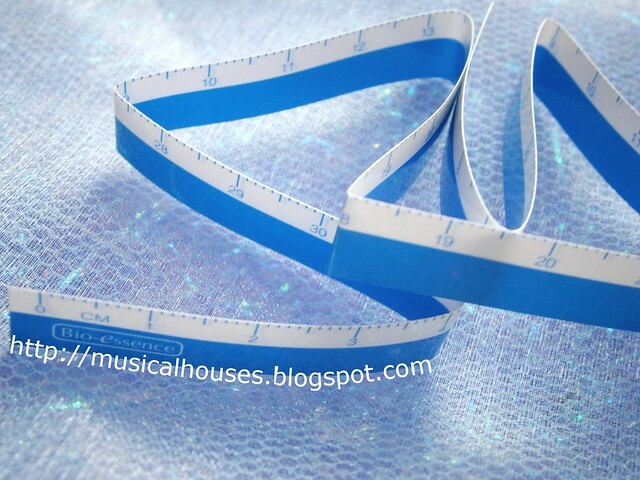 And this is where, as an honest blogger possessing an analytical, enquiring mind, I don't mince my words or water down my opinion: The product simply is not up to par. It it is not up to par because the product makes wild claims of reshaping your face, yet there is nothing in the product that can achieve that effect (unless it comes with a free plastic surgeon). And it is not up to par because the two key featured marketing ingredients don't do what Bio-essence implies it will do. It is, simply put, a bunch of misleading marketing that any girl with Secondary School or High School education will see through. And further, even if you ignore the claims about face-reshaping, the products themselves aren't exactly the best - the Deep Exfoliating Gel with Royal Jelly + ATP is like any other peeling gel out there, the Radiant Youth Essence with Royal Jelly + ATP seems more like a silicone makeup primer to me, and the Face Lifting Cream with Royal Jelly + ATP is a nice moisturizer, but nothing special. And there you have it. I was sent this product for review, and after my detailed review and my trial with the products, this is my view. The products are perfectly fine, although perhaps nothing that you can't already get on the market. But it is the marketing that really annoys me - it's a combination of bad science, misleading claims, and promises of results the products can't deliver. And my opinion doesn't change just because I was sent the product for free. Yes, there is a measuring tape included with the Face Lifting Cream, but I didn't notice any significant difference, and I didn't see anything in the ingredients list that would lead me to conclude otherwise. Nice tape, though. As a final note, I love the PR people I work with for Bio-essence, as they are a bunch of lovely individuals who are always professional, responsive, and pleasant to work with. And I feel bad knowing that I'm probably not making their jobs easier when I say I don't like a product (I'm guessing only positive mentions count towards their KPIs?). But it is what it is - this is my opinion of the products, based on my experience with said products, and my own effort to look up the scientific literature. And looking at the other blogs out there, everyone else who received a sample for review seems to have loved it. So I guess it's still alright, there are plenty more good reviews, and it's good to have a balance of opinions for something as personal as skincare. So. Would I recommend the line? Based on my own experience with the product, as well as the science out there, I'm afraid I can't. And to be honest, although I got my products for free, I can't imagine spending my hard-earned money on these...I might like the products from a cosmetic standpoint, but I feel buying products with dubious marketing is just incentivizing bad behaviour, you know? But if you still want something from the line, the Face Lifting Cream with Royal Jelly + ATP will make a good moisturizer, and it is the best product out of the three I tried. Or actually, if you want, you can try the Radiant Youth Essence with Royal Jelly + ATP as a basic silicone-based primer - it'll probably work out cheaper than buying an actual primer. Just don't expect to use this range and get a V-shaped face full of "feminine charm". Thank you for shedding light on the carbomer because all these while, I really thought it was dead skin! I doubt the product even works. I mean, creams for V-shaped face? Even common sense tells me that you can't 'lift' your skin unless you go under the knife. From your reviews, I might go ahead and try The Bio-essence Radiant Youth Essence since I'm searching for a primer. I can only hope it'll work on oily-combo skin. I see! Could you recommend me primers that could hold makeup longer that's suitable for oily-combo? :D I never used primer before so I'm not sure. The only closest thing to a primer was probably The Face Shop makeup base but I threw it away since it went bad in less than 6 months. @Liza: Hmm, I can't really recommend as I don't have that wide an experience with primers. One I've tried recently is Benefit's Stay Flawless Primer, which has a thicker texture, but does seem to help product hold: http://musicalhouses.blogspot.sg/2013/07/benefit-stay-flawless-15-hour-primer.html However it's not a silicone-type primer, so it will feel a little different. I've also tried briefly the MUFE and Laura Mercier primers, and I felt both were good as well for keeping the makeup on. So it depends on what you want? Maybe see if you can get some samples to try before you buy? I read your review on Benefit's and I may want to go for that. @Anonymous: I'm sorry the Bio-essence set didn't work for you! When I tried it, while I didn't really like it, it didn't make my skin feel dry or tight. If that is the case, it sounds like your skin might require more emollient ("heavier") and more moisturizing products, since it is not responding to the relatively light-textured Bio-essence range. Either that, or you might be sensitive to something in the Bio-essence range (are you allergic to bee products?). Unfortunately, I've not tried the Bio-essence Bird's Nest line (I've seen it in stores though), so I can't really comment on how it would work for you. But one way you can make an educated guess is to compare the ingredients lists across the Royal Jelly + ATP products and the Bird's Nest products. If the ingredients are largely similar, especially in the first 5 ingredients or so, then it's likely that you will experience similar effects using the Bird's Nest line as you did with the Royal Jelly line. Hope this helps! May I know the total price of bio essense royal jelly + ATP one set.and explain me each of item plz..
@Chu Thiri: Assuming you're in Singapore, the price of the Exfoliating Gel is S$32.90, the Radiant Youth Essence is $38.90, and the Cream is $49.90. Hope this helps! what face slimming or v shape face cream will you recommend then? @Anonymous: To be honest, I'm rather skeptical of most of these types of products. But you might have the best luck with a product that has some caffeine in it. Hope this helps! I want this product.. how much.. where i can get this product.. I want bio essence face lifting cream V.. may i know the total price of the product..
@Iwan Setiawan: Unfortunately I don't know where you are located, so I won't know whether the brand is sold where you are and how much it will cost. Perhaps you could Google for the product name as well as your country, and hopefully you might get some helpful results! thanks for the review. I was about to head off and use up my hard earned money for these items... I quite like bio essence royal jelly toner though. Not sure it has royal jelly or not but my face feels great afterwards. I've been using virgin coconut oil kept in bio essence gold range night cream with still some left. RM65 for one liter virgin coconut oil for hair, oil pulling and moisturiser, food certainly stretch my hard earned money more not to mention healthier for me!! Thank you for your comments.. In that case is there any product that you would recommend that works for face shaping? Kiehl's Try Before You Buy - Get 5 Free Samples!